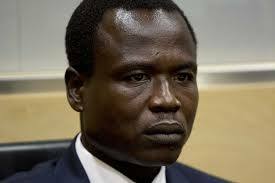 The trial of Dominic Ongwen, a former commander of the Lord’s Resistance Army (LRA), resumes at the International Criminal Court (ICC) after a break of nearly two months. From today, January 14, Ongwen’s lawyers will be calling the next set of witnesses they hope will help convince Trial Chamber IX that Ongwen is not guilty of the 70 counts of war crimes and crimes against humanity that he has been charged with. Ongwen is alleged to have committed these crimes between July 2002 and December 2005 in northern Uganda. During their opening statements on September 18 last year, Ongwen’s lawyers argued that he should be acquitted of all charges against him. Presiding Bertram Schmitt, Judges Péter Kovács, and Raul C. Pangalangan are the three judges who make up Trial Chamber IX. The defense phase of the trial began in September last year. To date, the judges have heard evidence from 14 defense witnesses over a period of 19 days. The last defense witness to testify in 2018 concluded his testimony on November 19. Among the defense witnesses who have testified was Joe Kakanyero, a member of Ongwen’s clan, who told the court the family did not know whether Ongwen was alive or dead for 28 years. Others who have testified are a former “wife” of LRA leader Joseph Kony; Jackson Acama, who told the court he once served as clerk to the spirits of the LRA; Nathan Iron Emory, a former bodyguard to one of Uganda’s presidents, Milton Obote; two ajwaka, or spirit mediums; and an expert on former child soldiers of the LRA, Kristof Titeca. Six of the defense witnesses testified about the role of spirits in Acholi culture or in the LRA and, more generally, about Acholi culture. The witnesses who testified about spirits and Acholi culture were Yusuf Okwonga Adek; Witness D-150; Harriet Adong; Jackson Acama; Witness D-06; and Kristof Titeca of the University of Antwerp. Witness D-150 and Adong told the court they were ajwaka, or spirit mediums in Acholi. They told the court how they became ajwaka and what their role was as ajwaka. Witness D-150 and Adong were never members of the LRA nor did they have any dealings with the group. Adek testified about Acholi culture in more general terms. Acama gave a detailed account of the spirit world of the LRA. He testified about Kony being a medium for those spirits, the role each spirit played in the LRA, and how spiritual matters were handled in the LRA. Witness D-06, a former “wife” of Kony, told the court what Kony told her about how he became a spirit medium before joining the rebellion in northern Uganda in the mid-1980s. Titeca told the court about what his interviews with more than 100 former child soldiers of the LRA told him about their spiritual beliefs. In their opening statement in September last year, Ongwen’s lawyers argued that Kony exercised complete control over the LRA. They said one of the ways Kony did this was by using Acholi culture, particularly the belief in spirits. Most members of the LRA have been from the Acholi ethnic group. Between October and November last year, seven of the witnesses told the court what they knew about Ongwen as a person or as a commander. These were Emory; Acama; Witness D-79; Francis Okot; Kakanyero; Witness D-06; and Witness D-119. The defense began presenting their case after the prosecution and lawyers for victims concluded presenting their evidence. The prosecution closed their case in April last year after presenting 69 witnesses who testified over a period of 142 days. The lawyers for victims called seven witnesses who took eight days to testify.